Our country will always be indebted to our military. 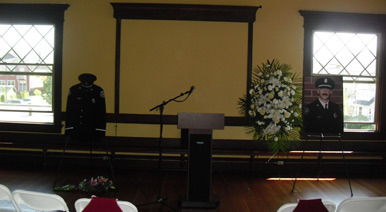 At Westfords we assist in creating a final tribute that shows our appreciation for their service in a special way. You can count on us to give your loved one the respect he or she deserves. In fact, staff members Jack Westford (U.S. Army) and Greg Brethour (U.S. Air Force and National Guard) have worked for veterans causes locally, statewide and on the national level. At Westfords, we are committed to "Honoring Those Who Served." 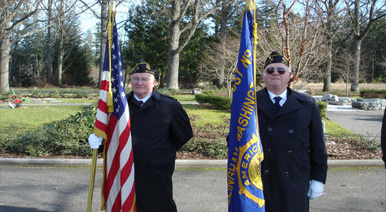 Local veterans participate in graveside military honors for a fallen comrade. 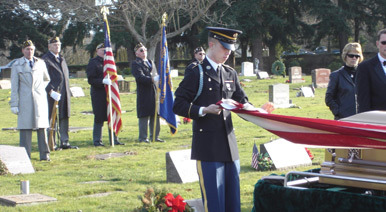 Honor Guard folds U.S. flag preparing for presentation to the family. 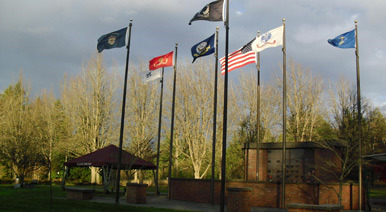 Veterans and their spouses may be honored at the Veterans Plaza at Bayview Cemetery surrounded by flags representing the branches of our military. Military uniforms and medals may be displayed at veterans services.